In this article we will go through four popular social login providers and learn how to implement them on Android. Read on! TL;DR: Grab the full code for our examples. Have you ever wanted to get rid of that cumbersome step of telling your users to create a user profile? Have you ever as a user closed a window or an app due to the tediousness of the sign-up step? Then social login is for you. Social login allows third-party applications to authenticate using the credentials from popular social networks. In other words, rather than forcing users to create a new profile, remember a new password and fill-in all the required details, you can just point them to the login screen of your selected provider and, after a successful authentication step, get all the needed details from that provider. Easier for users AND easier for developers, a combination rarely seen in software development. Social network providers often can provide additional information about users, such as location, interests, and birthday. Using social logins you can take advantage of this data, to target personalized, relevant content to users. Almost every major social network provides an API to allow application developers to authenticate users using their systems. In this article we will focus on the four major social login providers: Google, Facebook, Twitter and Instagram. Related to social login is the concept of single-sign-on. Single-sign-on allows users visiting different domains to remain logged-in using the same credentials. One can easily picture how social logins can help in doing this: by authenticating using a third-party service, different domains can share user information. 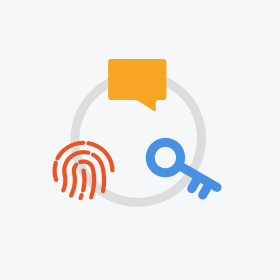 Many social login providers opt to provide a standardized way to authorize access to their login services through the OAuth2 standard. OAuth2 specifies a series of operations that clients can perform against an authorization server. It is the authorization server's job to issue tokens (pieces of information) that can later be used by these clients to access protected resources. 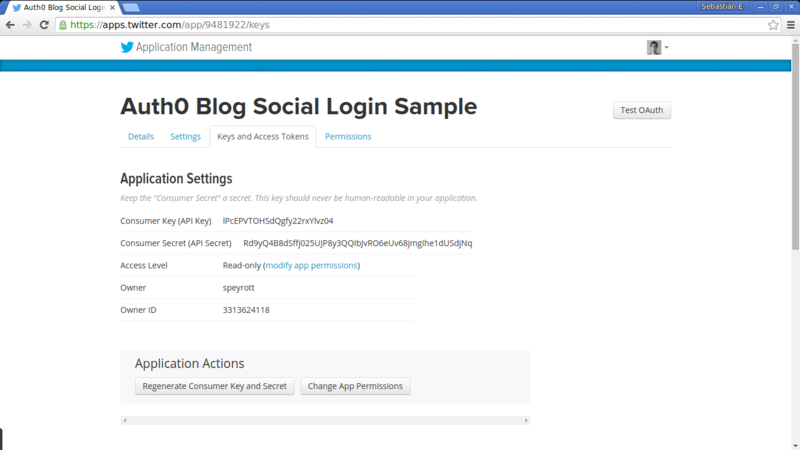 In the case of social logins, protected resources are user profiles and other data associated with them. Although the use of OAuth2 for certain tasks has been criticized by various parties, it remains the most common standard for social logins. In the case of our four providers, all of them provide OAuth-based APIs. Twitter in particular relies on OAuth 1.0a, while other providers use OAuth 2.0. For the purposes of this post however, we will prefer the official native Android libraries of each provider (except for Instagram, for which there is no official Android lib). 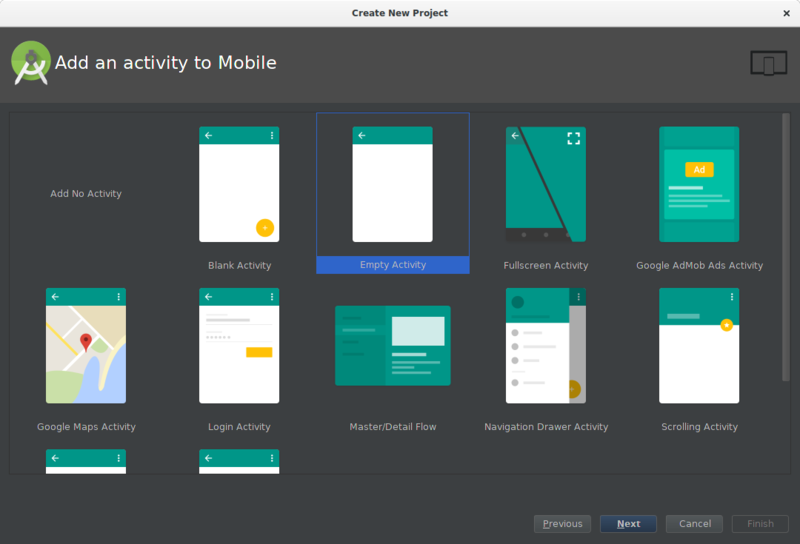 For our examples we will use the latest version of Android Studio, the official Android IDE. Go to the site, and follow the install instructions for your platform. All our examples should work on recent versions of Android. We picked Android 5.0 as base, but older versions should work as well. In Android Studio, go to File -> New Project and follow the wizard. When asked about the main screen, select an Empty Activity. Call this activity LoginActivity. After the wizard is done, it should be possible to run the example using the emulator. If you haven't done so, setup an emulator supporting Google Services (this is required). 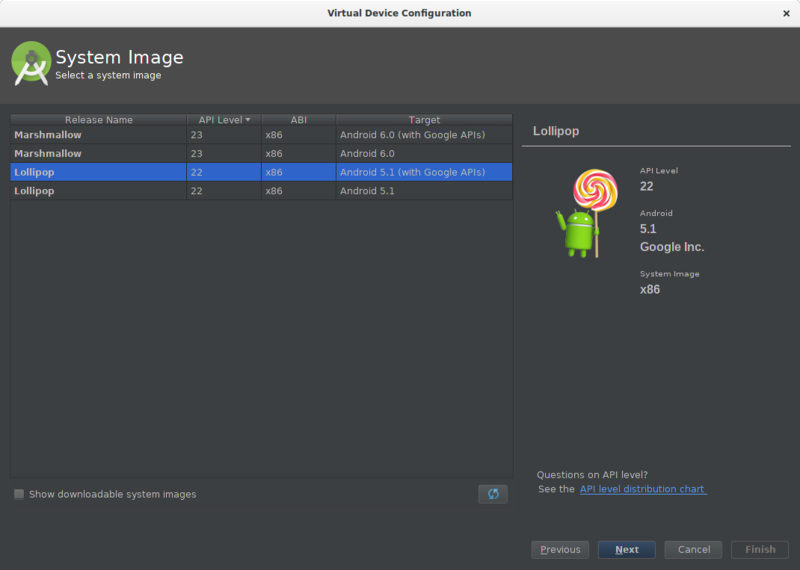 Go to Tools -> Android -> AVD Manager -> Create Virtual Device. Create a device supporting Google Play. Pick a device that can be accelerated by your platform (x86) and enable GPU acceleration (Use Host GPU). This will ensure the best possible experience for our tests. Input the generated hash code in the form and click next. You can safely ignore what follows in the Facebook app wizard. 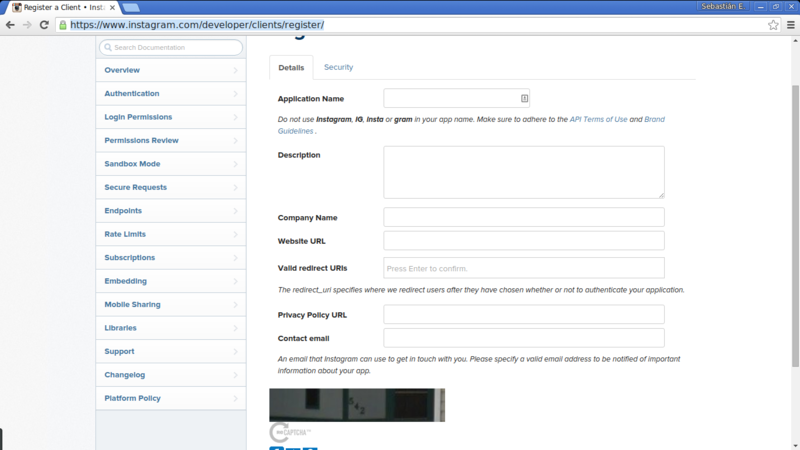 Now go to https://developers.facebook.com/apps/ and copy your app id to the clipboard. Add your Facebook App ID to your string resources file (string.xml) as facebook_app_id. 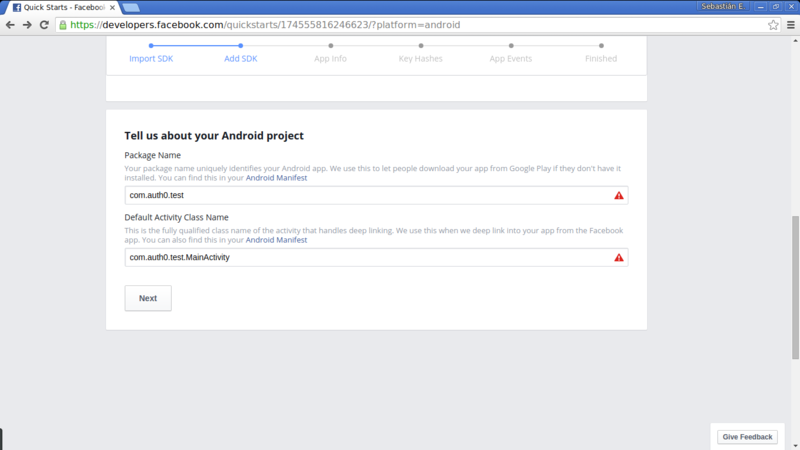 Then edit your AndroidManifest.xml file to add: - The necessary permissions (uses-permission). - The Facebook app id as metadata (meta-data tag). - The Facebook activity. // This MUST be placed after the above two lines. That's it! In the handleSignInResult method of your activity you can do as you please (usually show another activity or do some operation with the information from the current user). 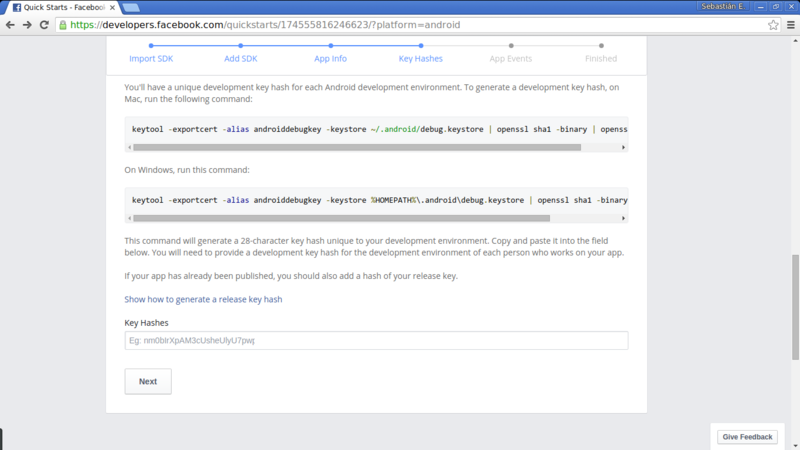 As expected, Google provides a native Android SDK to handle logins. Let's see how we can add it to our existing app. 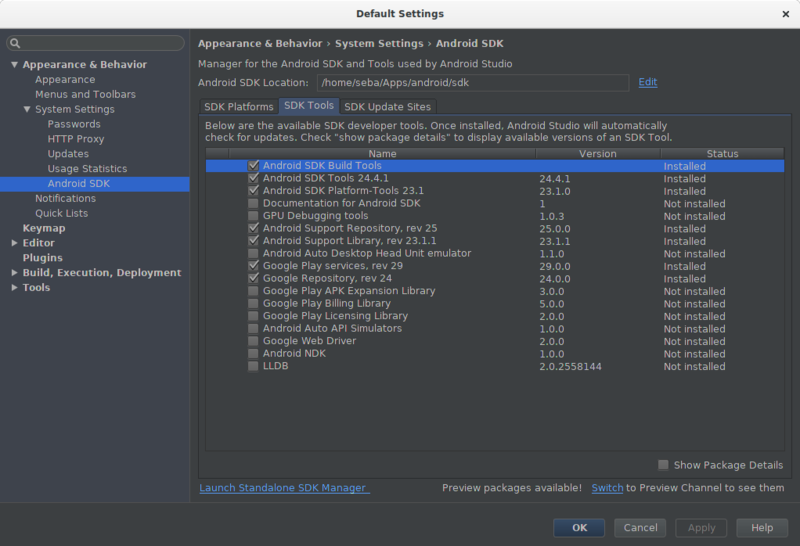 In Android Studio, go to Tools -> Android -> SDK Manager -> SDK Tools. In the Extras section make sure Google Play Services is available and enabled. You can now pass the login details from the result object to your custom handleSignInResult method. To get the user details, use result.getSignInAccount(). That's it! Twitter also provides a native SDK for Android. Let's see how we can integrate it. Twitter provides an Android Studio plugin named Fabric. Fabric is also the name of the libraries Twitter provides developers to help in the integration of their APIs. The Fabric plugin comes with a set of wizards to help in the integration of its features. For the purposes of this post we will do all steps manually (no Fabric wizards). Go to https://apps.twitter.com/ and create a new app. Set the callback URL to any domain under your control but do not leave it blank. This will be ignored by the Twitter SDK for Android, but will cause trouble if left blank. After the app is created, you will be presented with the settings screen. First set your permissions to read-only (nothing more is required for signing-in), then go to the Keys and Access Tokens screen and take note of both the Consumer Key and the Consumer Secret. The keys in this block of code are the ones you got in step 2. Note the comment in the block of code. The secret key for your Twitter app should never be made public (the key above was revoked before publishing). This means that embedding the key in code like we have done in this case is a security issue you should consider. The recommended way of handling this is on a best-effort basis. If you are keen on security issues this should immediately trigger an alarm in your head. Yes, Twitter's own API forces us to use insecure practices. One way to mitigate this issue is to use DexGuard to obfuscate strings. This is, however, imperfect and will not prevent a dedicated black-hat from getting your secret keys. The only safe way of handling this limitation is by not using the Android native SDK and reverting to the OAuth HTTP-based API. This way the secret key can be stored in a server of your choice. Twitter is aware of this limitation and remains silent in the way of potential fixes. Consider this carefully when picking the native Twitter for Android SDK for your apps. You can get the user details by calling result.data.getUserName(). That's all there is to it. Remember in this case to consider the potential security issues brought by keeping the secret key for Twitter's API in your code. In contrast with the other social login services in this post, Instagram provides no native library for Android (or any other platform), so we will focus on how to integrate it in our sample using an HTTP API and Android intents. Go to https://www.instagram.com/developer/clients/register/ and register a new app. For the redirect URL we will use a special URL that can be captured by an Android intent. For our example we used sociallogin://redirect (yes, a custom schema is possible and recommended). In the security tab enable implicit OAuth by unchecking the box that reads "Disable Implicit OAuth". Implicit OAuth is simpler for the purposes of our example. Read the Instagram authentication docs to find out if the explicit authentication flow is appropriate for your use case. You can get your client id from https://www.instagram.com/developer/clients/manage/. You can call this function in the onCreate or onStart callbacks for the activity. With the access token it is then possible to query for information regarding the user by querying https://api.instagram.com/v1/users/self/?access_token=ACCESS-TOKEN. That is all there is to it! Get the full example code for all providers. If you've read this far you probably realized supporting several social logins providers is somewhat cumbersome. 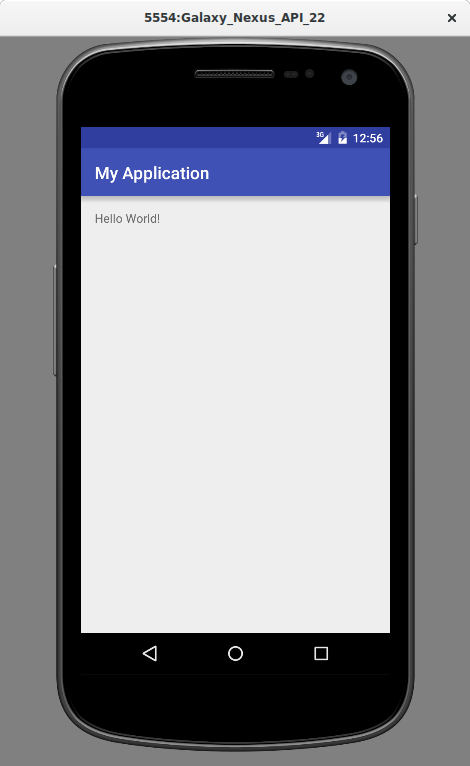 Using our Auth0.Android library for Android makes this a breeze. Integrating it is as simple as integrating any of the solutions mentioned above, with the added benefit that you pick which social login providers are supported from the settings dashboard. Yup, that's it: do this integration once and get as many social login providers as you want with a few clicks! Let's see how it is done. 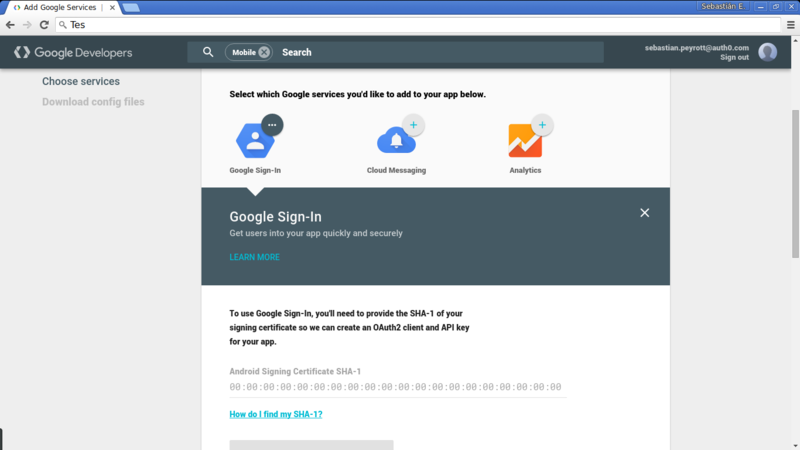 "Using the Auth0.Android library makes social login integration a breeze." Go to https://auth0.com/ and sign-up. Click on File -> New -> New Project and follow the steps. A project like the one we created for our sample above will do just fine. Open the dashboard and click on Clients/Create Client. When asked, select Native Client. 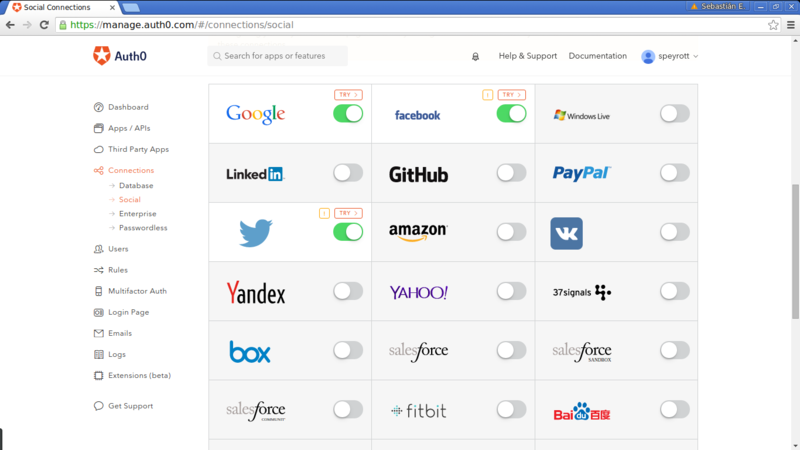 Now go to Connections -> Social and enable as many social providers as you like. Follow the usual steps to get the application ids or consumer keys. For testing, you can leave the fields blank and use Auth0's internal test keys. Don't forget to enable these connections in your new app (Clients -> <CLIENT NAME> -> Connections). Now add the client id and Auth0 domain to your strings.xml file. To get these details go to the Auth0 dashboard and select your app, then pick settings. That's it! Now when that code is triggered by some event, a login screen in your default browser will appear. Once the user logs in, he will be sent back to your application's activity. You can add or remove additional connections from the Auth0 dashboard. No more special cases. Social logins are now more important than ever. Many users find the sign-up process cumbersome and expect to be able to sign-in using one their existing accounts from other services. As an application developer, you want to make sure users are not scared away from trying your app because of the dreaded registration step. Adding several login providers is doable but increases the complexity of your app and the time needed to develop it. A great way to prevent this from happening is with our Auth0.Android library. Other benefits include: added security (for instance by not putting secret keys in your app) and professional support from our team. Try it, you won't be disappointed.